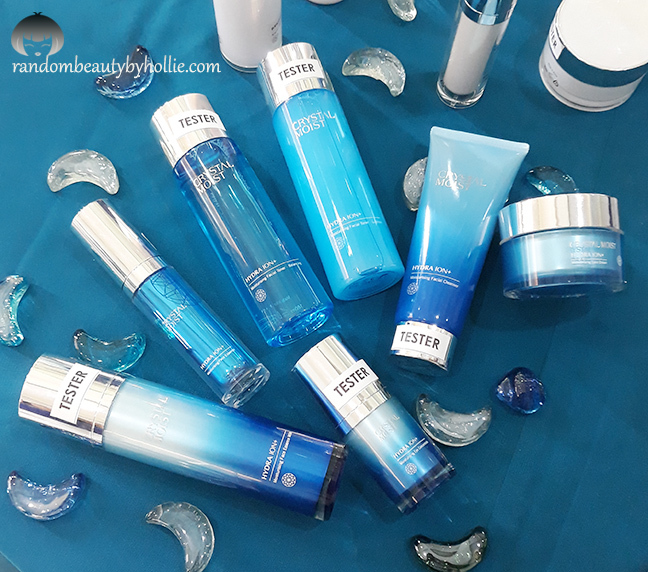 Last August 4, 2017, I was invited to the the Launch of the Crystal Moist Skincare Line brought to us exclusively by Rose Pharmacy. 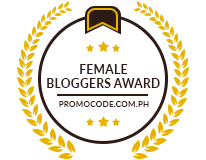 This brand is created for the Asian Women aged 24-35 years old, who are beauty conscious, confident and who aspire to indulge in quality skincare products with promising efficacy to bring them youthful and healthy skin. 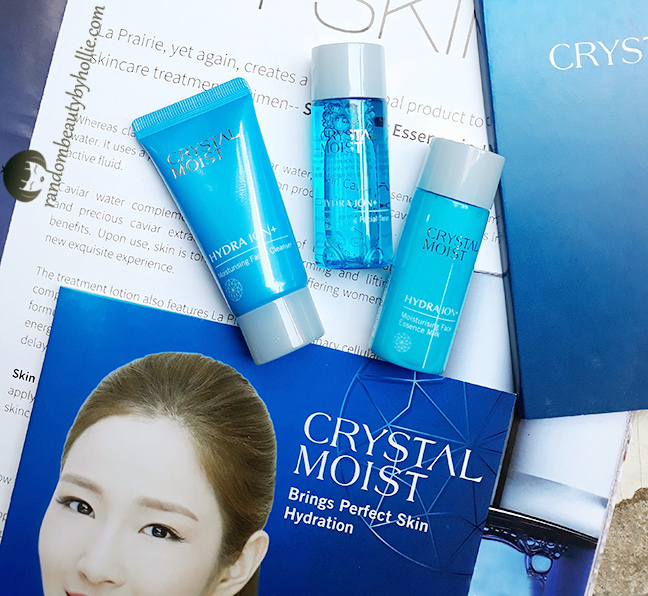 Crystal Moist is developed and made in Korea. 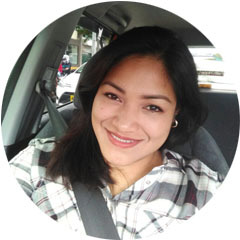 It was first launched last September 2015 under the holding company of Guardian Malaysia. Crystal Moist brings us two skincare range. Both of which are formulated with 3 key proprietary ingredients to help replenish and retain moisture and essential minerals required by our skin to maintain a healthy complexion. 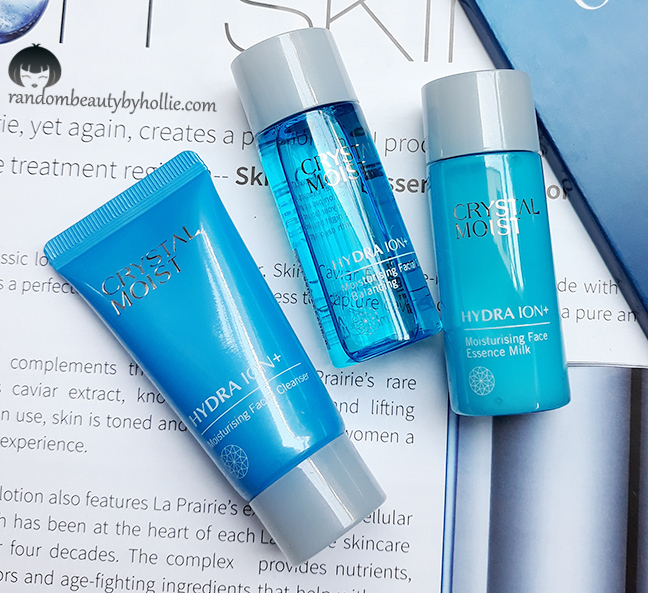 The Crystal Moist Hydra ION+ range, brings perfect skin hydration. 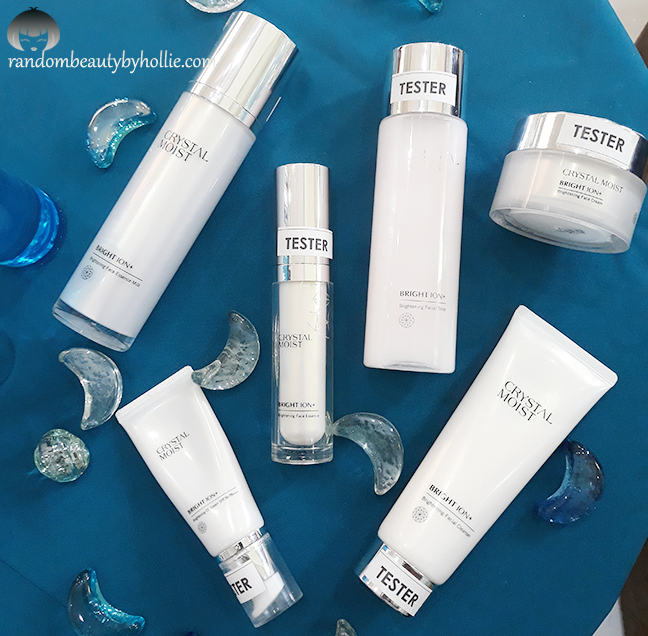 The moisturizing range is the essential hydrating skin care regime. It is aimed to replenish moisture to keep your skin refreshed and hydrated, leaving skin with crystal-moist complexion. The Crystal Moist Bright ION+ range, brings perfect skin radiance. Empowered with Sea Shine from France and Floral-Bright Complex, this brightening range enhances skin tone and helps reduce the appearance of dark spots. Ideal for a crystal-bright complexion. 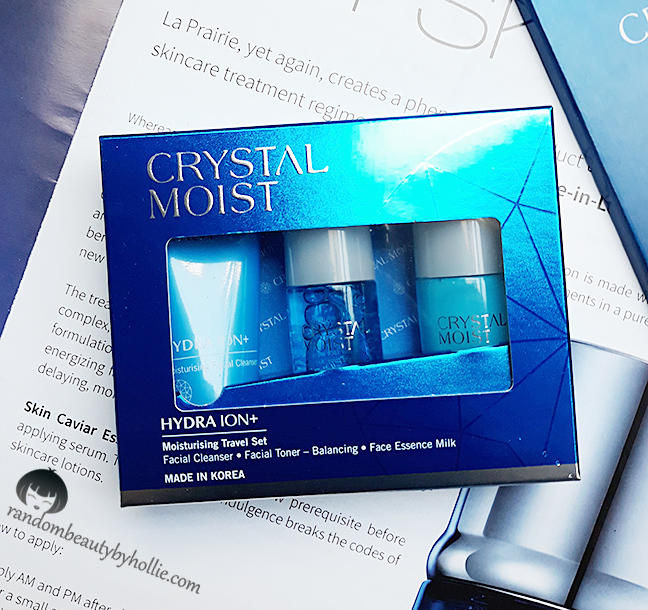 I was able to try out the Crystal Moist Hydra ION+ Moisturizing Travel Set. It came with the basic skincare needs for moisture. Moisturising Facial Cleanser, Moisturising Facial Toner-Balancing and the Moisturising Face Essence Milk. The Hydra ION+ Moisturising Travel Set smells really nice. It is has a fresh mild scent. The Facial Cleanser, foams up real nicely. It cleans very well and it does not leave my face feeling dry and tight. The Moisturising Facial Toner, feels very mild as well. It does not sting and does a good job of keeping my skin well hydrated. The Moisturising Face Essence Milk gets absorbed on my skin quickly. It has a light watery light texture leaving my skin well moisturized. It does not feel sticky as well. Overall, it was a pleasant experience. I would definitely recommend this set for all skin types, especially if you are just starting out with your skincare routine. It's practical and basically what your skin needs.